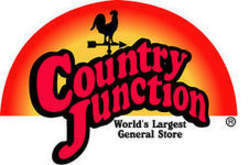 Country Junction is a place for family fun! The destination takes great pride in and care of the free petting zoo, Pappy's Farm. Come and feed the alpacas, llamas, ducks, turkeys, peacocks, chickens and new arrivals. While you shop the World's Largest General Store, visit the pet store and fall in love with adorable puppies, kittens, bunnies, birds, reptiles, fish and many other pets. Dogs welcome! Bring your whole family and have your furry friend pampered at the Pet Parlor. Parties hosted, including pet and reptile birthday parties.